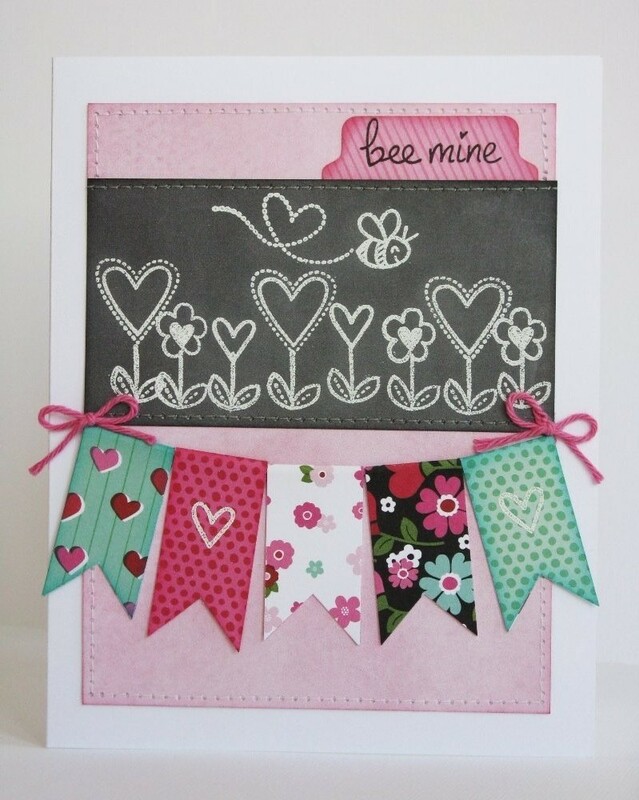 For today's Love inspired project I have a card I made using Lawn Fawn's adorable Bee Mine mini stamp set, along with American Craft's XOXO collection from last year. So pretty...love the sweet banner! !